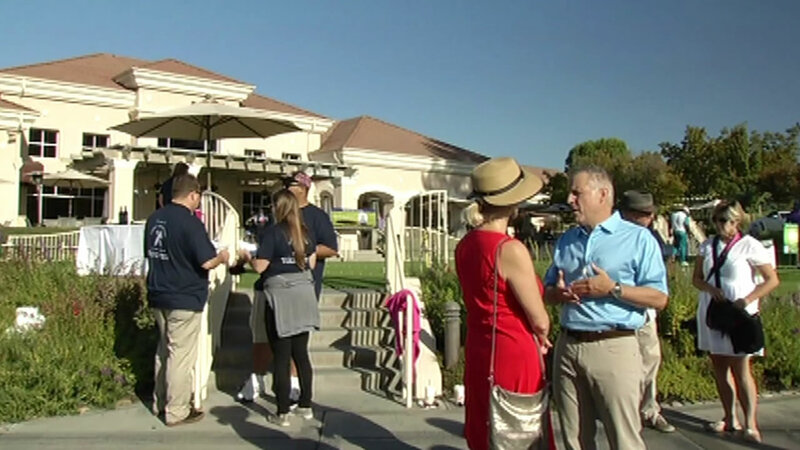 ALAMO, Calif. (KGO) -- Monday, ABC7 News anchor Dan Ashley held his annual Friends of Camp Concord Golf Tournament. It was held at the Round Hill Country Club in Alamo. This is the 19th year this event has been held. The tournament raises money to help send underserved children to summer camp at Lake Tahoe, all expenses paid. So far, 8,500 children have been sent to camp over the years. Ashley said, "One of the most important features of what we do at Friends of Camp Concord is make sure that all of the kids who go up to Lake Tahoe on scholarship are anonymous in terms of who is there on assistance. So, the counselors don't know, the other kids don't know. The kids we send up there just get to go up there and have a great time and just be kids." If you would like to help Dan send underserved children to summer camp, click here to make a donation.